Do you have a book lover in your life and have no idea on what book to gift? Bookish items are the best alternative! Any book lover would appreciate (and probably be very happy about) any book related gift. Therefore, I have given ideas below on what to give to that book lover in your life! Lucy is such a talented artist and her prints are the cutest! They are quite popular on Instagram and with other fellow book bloggers. I have shopped with her before and she always ships really fast so no need to worry. But her items do sell out fast! A coffee mug is a go to gift for anyone. Especially if they are coffee or tea lovers. Sweet Mint Handmade make the most adorable mugs. I haven’t seen any designs like theirs anywhere in stores or online. So it sure will be a unique gift! Each month The Bookish Box announces their new theme & include teaser information about the books and items included. Members have the ability to adjust their preferences based on the theme. The Jane Game - Perfect For Game Lovers! The Jane Game is a trivia board game devoted to Jane Austen’s six novels. It is designed to bring Austen admirers together to share in her stories, characters, wit and language. While playing, each participant enters Jane’s world by role-playing one of her heroines. As such, you seek after a fortunate life by becoming an accomplished woman, gaining life experience, and choosing to marry or not. Through chance, expertise, and choice you could become the envied Mrs. Darcy, the pitied Mrs. Collins, or the new roommate of Miss Bates. The Jane Game is for 2-7 players (Austen wrote seven heroines into her six novels) and lasts about an hour to an hour and a half, depending on how chatty and good-humored the heroines are. Any one would love a bauble as a gift! I hope this helped you get some ideas for gifts! 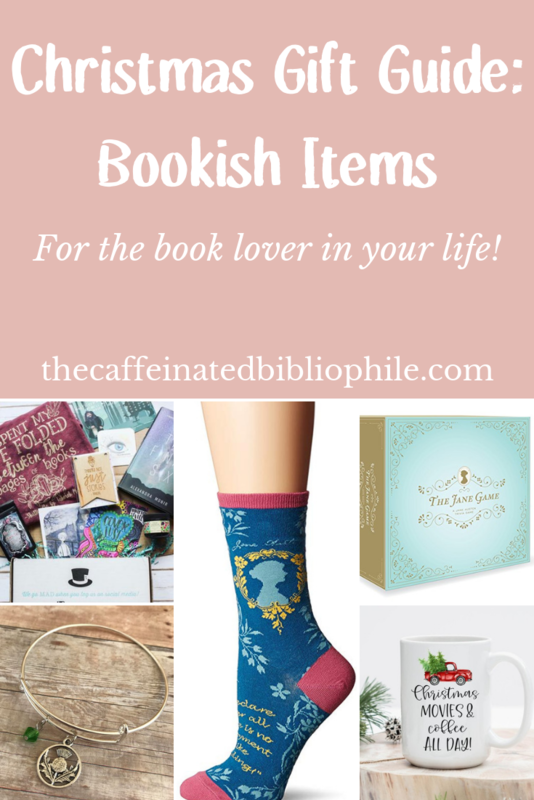 What kind of bookish items do you like to gift?